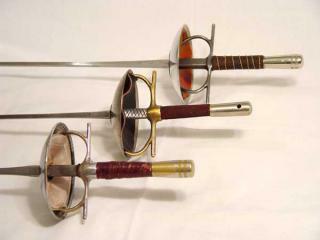 Rather than a single monolithic Italian school of fencing, there existed many different regional variants during the classical era. These schools may be generally divided into northern and southern. The southern schools tend to be very aggressive in nature, while the northern schools are influenced in part by French theory and practice. The northern schools are more forceful than the French school, but a bit more subdued in their character than the southern schools. 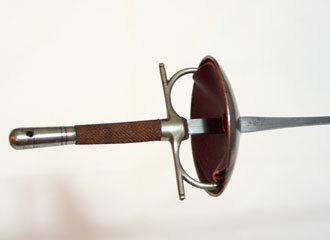 As the direct descendants of rapier fencing, the Italian schools place greater emphasis on tempo actions, strong footwork, and aggressive control of the adversary’s blade than does the French school. Their guard positions emphasize a lower, wider stance, with the weapon arm held nearly fully extended and parries taken well in front. Firm blade actions are assisted by the Italian grip, which provides a powerful fulcrum, particularly when aided by the wrist strap. The primary Italian foil taught is a northern Italian system, which includes techniques derived from the teachings of Aurelio Greco systematized to follow the Rohdes method.